Make your child's bath time a fun time! 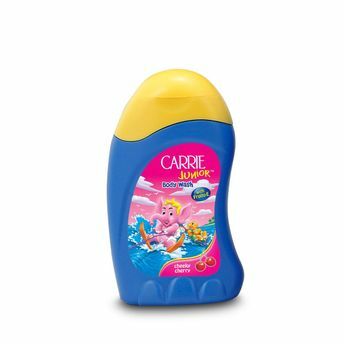 For gentle and effective cleansing of baby's entire body, Carrie Junior Baby Body Wash is specially formulated with Fruito-E which is a natural combination of fruit extracts. Fruito E is rich in vitamins and nutrients to help nourish and moisture baby's delicate skin. Use everyday to keep your child's skin clean, soft and healthy. Additional Information: Carrie Junior is a brand that is 'trusted by parents and loved by kids'. They are an international brand providing a unique range of children's premium personal care products for over 20 years. They strive to provide quality products which encourage good hygiene practice among kids by making their bath time a fun time. Alternatively, you can also find many more products from the Carrie Junior Body Wash Cheeky Cherry range.